With the rise in our use of social media, internet banking, emailing, and apps, the risk of identity theft in Australia is now on the increase. The Australian Bureau of Statistics reported that last year alone 770,000 people were a victim of identity crime, which costed a staggering $1.6 billion dollars*. Identity theft happens when your personal information such as name, address, date of birth or mother’s maiden name are stolen and then used to commit theft. To reduce the risk of becoming a victim of identity theft, it is important that you protect your personal and financial information. Your personal information can be accessed in many ways, even if you are not a frequent user of social media or internet banking. Theft of personal information from your home, your car or from your wallet. Theft of financial statements and other mail out of your letterbox. Obtaining personal information from paperwork that has been thrown in the rubbish outside your home or business. Accessing personal information via your social media profiles and accounts. Obtaining information from you via the internet or email, often referred to as “phishing”. These emails often come from individuals posing as the Australia Tax Office or a financial institution or company that you know or do business with. Whether online or offline, oversharing of personal information and not taking enough precautions is risky. The consequences of identity theft can be costly, stressful and time consuming to rectify. 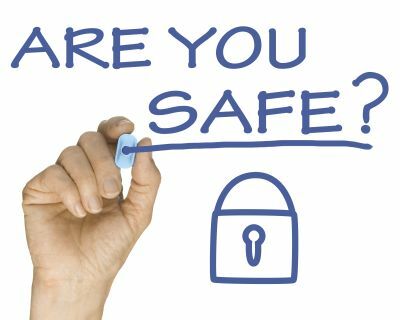 Increasing your awareness of the level and type of information you are sharing online and creating safe practices for storing and disposing of your personal information is the safest way to protect yourself from identity theft. Reduce the risk of postal fraud by securing your letterbox or having mail delivered to a PO Box. If you are going away on holiday, arrange to have your mail collected by a trusted friend or family member or have it held at the post office in your absence. Arrange to forward all mail to your new address if you move and be sure to let your bank, credit card, superannuation, insurance and utility companies know of your new address details. Do not share your passwords or personal identification information online, such as your birth date, mother's maiden name, or your phone number online or via social media. If you do share some of this information in your accounts be sure to check the privacy and security settings to limit access of this information to the public. Do not throw away paperwork containing personal information or account details, including bank and credit card statements, phone and utility bills. Consider investing in a shredder to dispose of this information. Check the transactions made each month on your bank accounts and credit cards and investigate any suspicious activity, such as small payments to unknown companies or people. Regularly check your credit file. You are entitled to obtain a free copy of your report each year. You can also register for credit alert services, which can notify you if your credit file changes. Only make online payments or share personal information online if you are using a secure website. A secure website will have a URL, which begins with Https://. And don’t share this information on your mobile phone in a public place. Install anti-virus and protection software and keep it updated to protect your computer and mobile devices from hackers, scammers, and viruses. Use password protection and auto-lock functions on these devices and update your passwords regularly. When it comes to emails, never open any attachments or forward emails from unreliable sources, or unusual messages or files from people you do not know personally. Taking a more conscious and deliberate approach to how you share, store, and dispose of your personal information and being careful with who you provide access to and share information is key to safe-guarding yourself and your family against identity theft.